Everyone knows our city’s hallmarks: Coca-Cola, Martin Luther King Jr., Gone With the Wind, Sherman’s March. But there’s so much more that’s been cast aside. 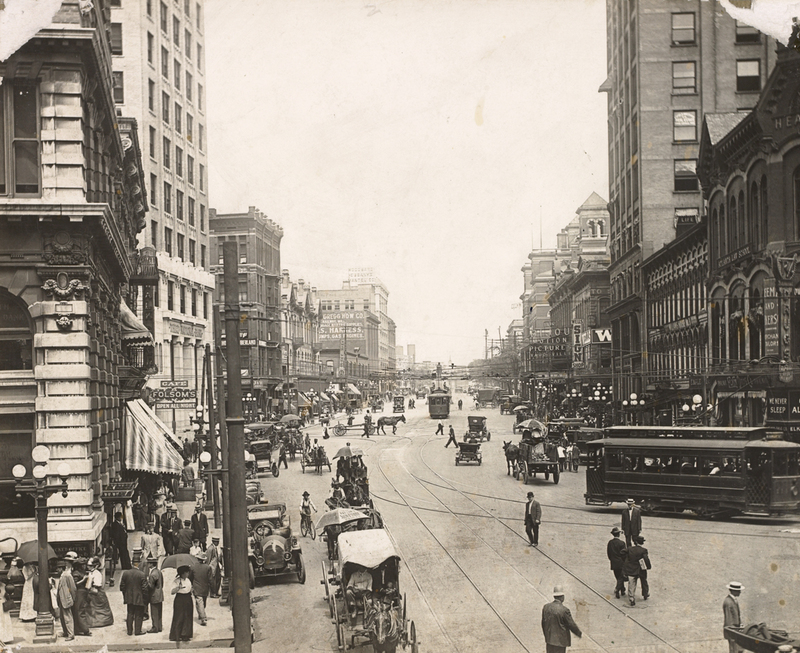 1913: Traffic in Five Points in downtown included streetcars, automobiles, and horse-drawn carriages. Atlanta has a particular knack for erasing its history. One of the city’s defining characteristics is, after all, its ever-optimistic march to the future, its affinity for “progress,” its knack for scrubbing a slate clean and starting anew. Atlantans love to build shiny new structures, even if it means jettisoning grand architecture—or whole neighborhoods. This bullishness has caused us to suffer from a kind of collective amnesia. Sure, everyone knows our city’s hallmarks: Coca-Cola, Martin Luther King Jr., Gone With the Wind, Sherman’s March. But there’s so much more that’s been cast aside. We dug our heads into history books and consulted historians and veteran Atlantans to excavate a lesser-known, hazier narrative of the city. If you’re a longtime (or native!) Atlantan, perhaps these anecdotes will spark nostalgia. If you’re a more recent arrival, this may all be news to you.